From 11.30 am to 13.00 pm the doctors make their house-calls and confer with the doctor's assistants. Huisartsenpraktijk Hermsen is closed from Monday 22 April until Monday 6 May 2019. For locum GP’s click here. Huisartsenpraktijk Hermsen is located at Medisch Centrum Delft (Medical Centre Delft) where our team of general practitioners, doctor’s assistants and nurse practitioner will be happy to be at your service. Hint: you can go from one page to the homepage by clicking on the logo of Huisartsenpraktijk Hermsen on the upper left corner of the screen. 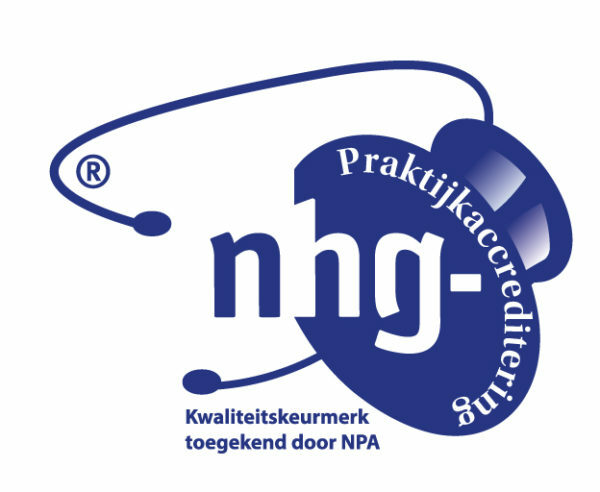 You can give Huisartsenpraktijk Hermsen permission to share your medical records. In that case other healthcare providers will be able to view your most important medical information. They are only permitted to do this if necessary for your treatment. If you agree to this, click here. In case of an life threatening situation, call 112. You will find Medisch Centrum Delft behind the nursing home (Verpleeghuis) ‘Bieslandhof’. When you arrive at the ‘Van Miereveltlaan’, take the Lindelaan (you see supermarkt Plus) and take the entrance road to the ‘Bieslandhof’ directly on your right (this is the Beukenlaan). On the terrain of the Bieslandhof follow the road signs ‘Medisch Centrum Delft’. Warning: Medisch Centrum Delft has very limited parking capacity. If you park your car outside the designated car parks, you risk a parking ticket. If you park on one of the GP parking places, your car will be towed away. We advise you to travel by public transport, on foot or by bicycle whenever possible.